There really isn’t actually a lighter side to rubbish at all, and I am in no way trivialising my own recent crusade to play whatever little part one can in the Swachh Bharat campaign…but this classic vignette caught my eye as I was out running this morning. Rubbish skip that clearly hasn’t been emptied for a while = poor garbage collection is a big problem here. Rubbish strewn on the floor = perennial problem. 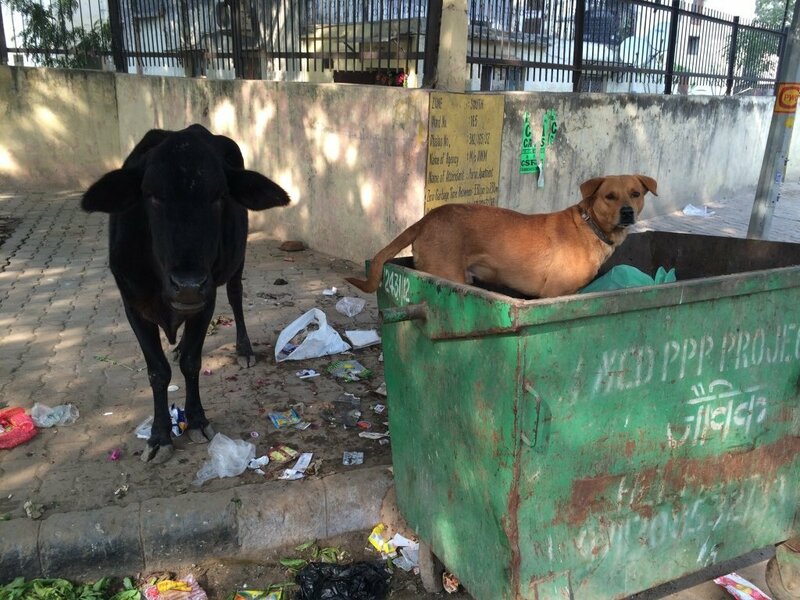 Cow happily chomping on a plastic bag while his mate rootles inside the skip = seizing the moment. Ah well, at least someone is enjoying the unsightly mess.